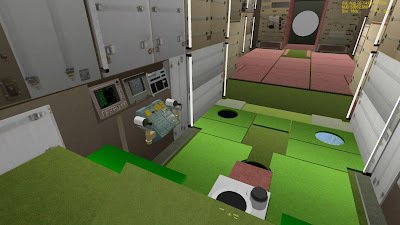 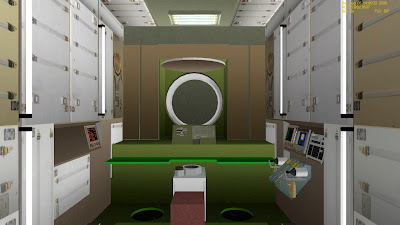 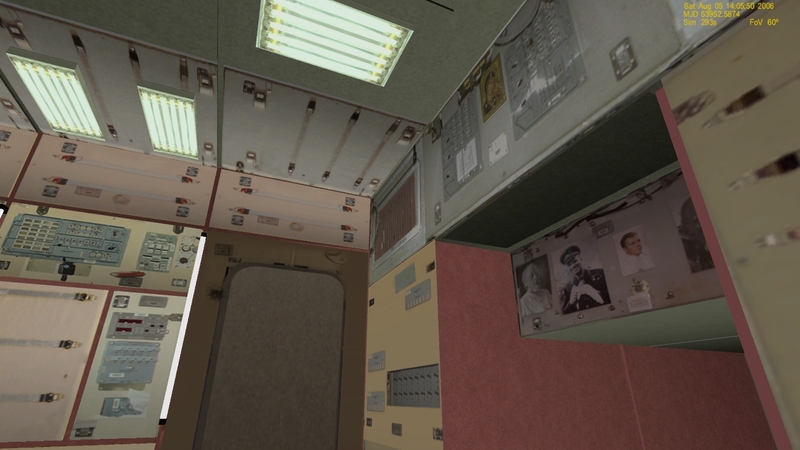 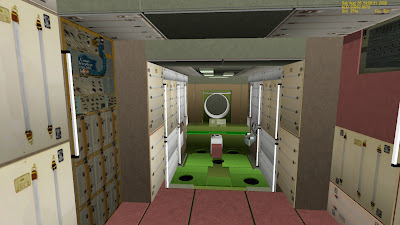 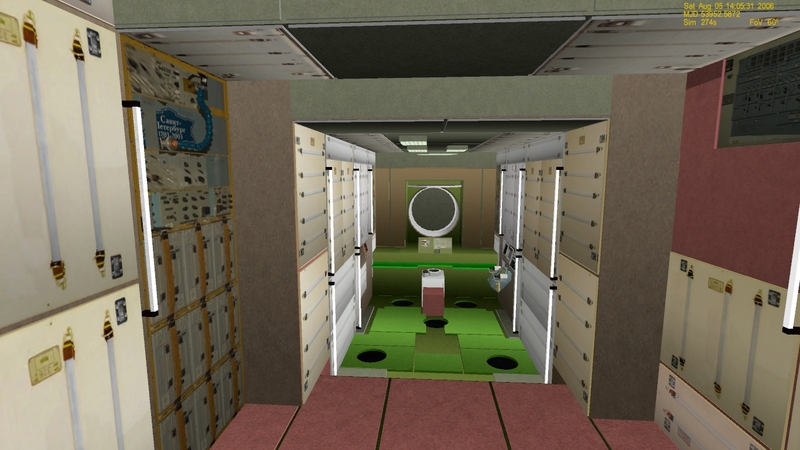 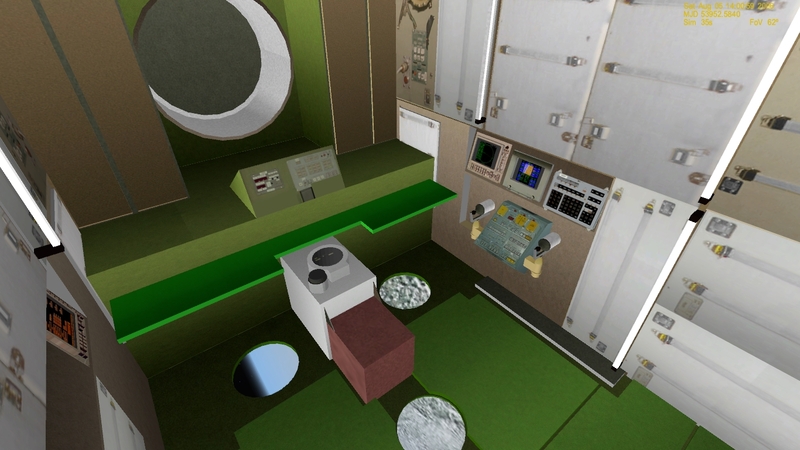 This add-on for Orbiter Space Flight Simulator will add a Virtual Cockpit to the ISS Zvezda module. 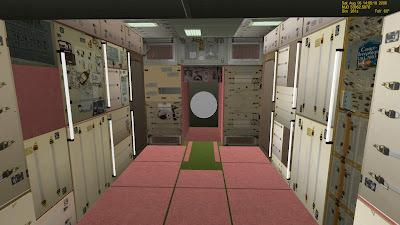 Although complete, the mesh is a little basic on some parts, nevertheless I feel it's good enough for release. 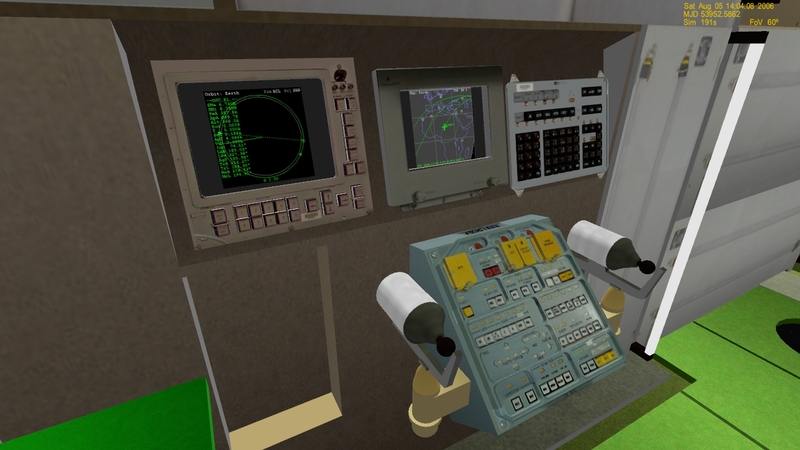 As such, I simply added it to an existing Zvezda add-on- the "Zvezda-J" add-on by jekka. 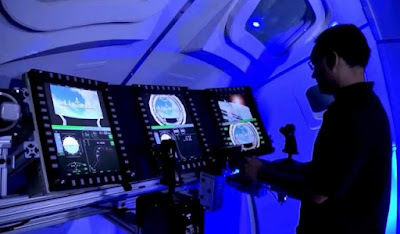 There are 2 visible MFDs (on the TORU workstation) and a HUD display over the periscope. 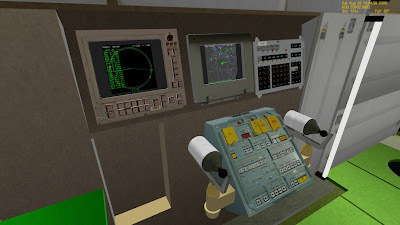 This 3D virtual cockpit model is more of a resource for developers than a complete add-on. 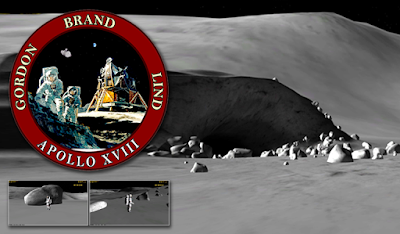 Feel free to include it on your space-station add-ons and to improve upon it.